Antakya (Arabic: انطاكيا‎‎, Anṭākyā from Syriac: ܐܢܛܝܘܟܝܐ‎, Anṭiokia; Greek: Ἀντιόχεια, Antiócheia) is the seat of the Hatay Province in southern Turkey. In ancient times, Antakya was known as Antioch, and was for centuries one of the largest cities in the Roman Empire. It was an influential early center of Christianity. It has a population of about 250,000. Most of the population speaks Turkish as their native language, while a minority are native Arabic speakers. Antakya is situated in a well-watered and fertile valley. In 969, the city was reconquered for the Byzantine Emperor Nikephoros II Phokas by Michael Bourtzes and the stratopedarches Peter. It soon became the seat of a dux, who commanded the forces of the local themes and was the most important officer on the Empire's eastern border, held by such men as Nikephoros Ouranos. In 1078, Philaretos Brachamios, an Armenian rebel seized power. He held the city until the Seljuk Turks captured it from him in 1084. The Sultanate of Rum held it only fourteen years before the Crusaders arrived. The Crusaders' Siege of Antioch resulted in its fall and the Crusaders caused significant damage during the First Crusade including a 3-day massacre of its population both Christian and Muslim. Following the defeat of the Turkish garrison, Bohemond I became its overlord. It remained the capital of the Latin Principality of Antioch for nearly two centuries. A British traveller at Antakya in year 1798 said "the language here is generally Turkish" (while, by contrast, he said the prevalent language at Aleppo at the time was Arabic). 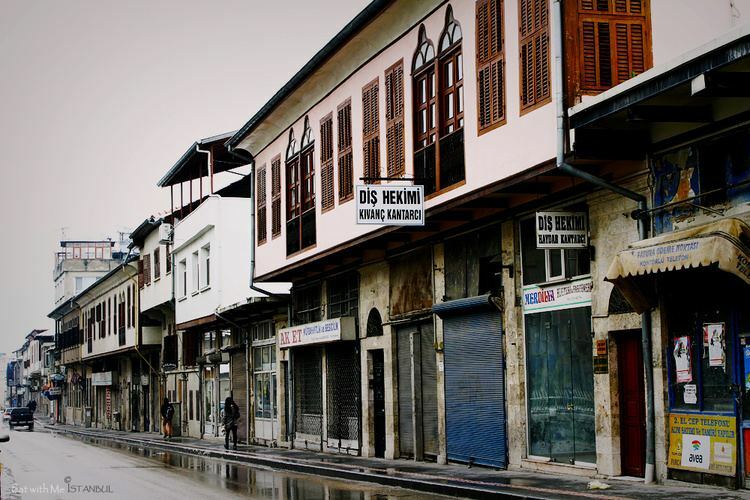 Its location near the Syrian border makes Antakya more cosmopolitan than many cities in Turkey. It did not attract the mass immigration of people from eastern Anatolia in the 1980s and 1990s that radically swelled the populations of Mediterranean cities such as Adana and Mersin. Both Turkish and Arabic are still widely spoken in Antakya, although written Arabic is rarely used. A mixed community of faiths and denominations co-exist peacefully here. 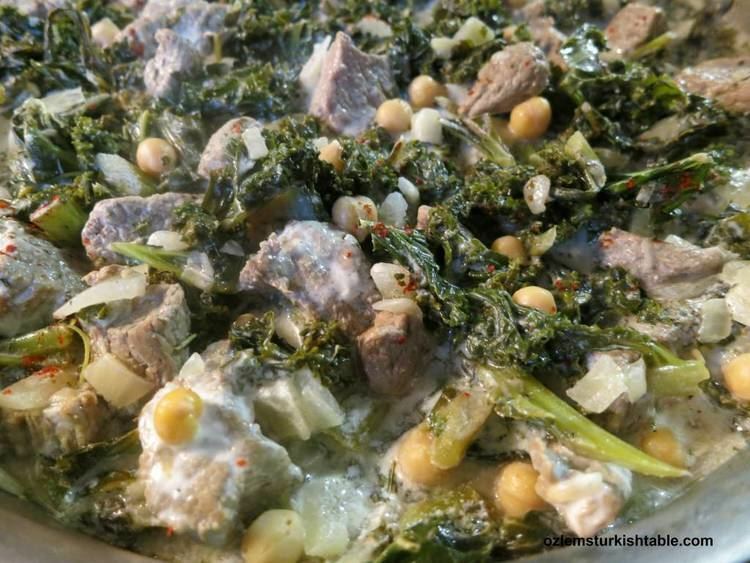 Although almost all the inhabitants are Muslim, a substantial proportion adhere to the Alevi and the Arab Alawi traditions, in 'Harbiye' there is a place to honour the Alawite saint Hızır. Numerous tombs of saints, of both Sunni and Alawite, are located throughout the city. Several small Christian communities are active in the city, with the largest church being St. Peter and St. Paul on Hurriyet Caddesi. With its long history of spiritual and religious movements, Antakya is a place of pilgrimage for Christians. The city also is home to a functioning synagogue serving the Jewish community of Antakya. 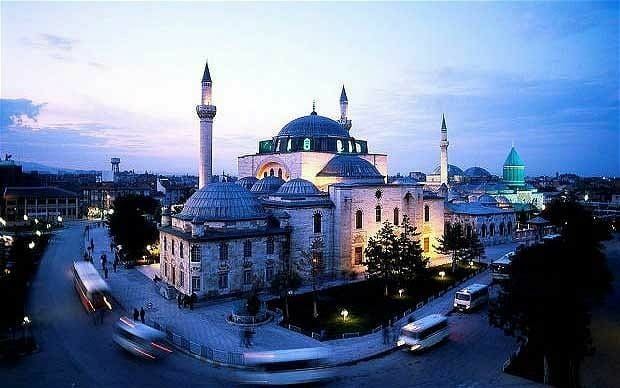 It has a reputation in Turkey as a place for spells, fortune telling, miracles and spirits. The plain of Amik to the north-east of the city is fertile soil watered by the Orontes, the Karasu and the Afrin rivers; the lake in the plain was drained in 1980 by a French company. At the same time channels were built to widen the Orontes and let it pass neatly through the city centre. 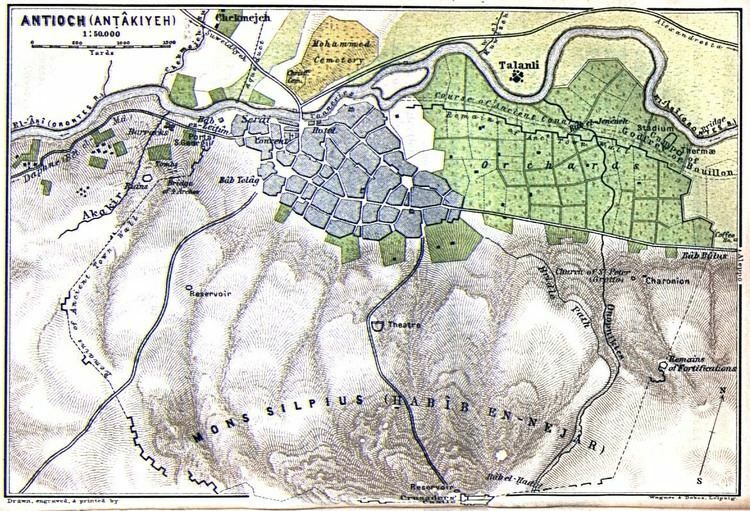 The Orontes is joined in Antakya by the Hacı Kürüş stream to the north-east of the city near the church of St Peter, and the Hamşen which runs down from Habib-i Neccar to the south-west, under Memekli Bridge near the army barracks. Flora includes the bay trees and myrtle. There is a Jewish community. The city enjoys a Mediterranean climate with hot and dry summers, and mild and wet winters; however due to its higher altitude, Antakya has slightly cooler temperatures than the coast.